Just over a week ago my little blog reached 100 Bloglovin' followers. I can't believe that people actually want to read my posts so I was completely overwhelmed when I found out I'd reached that milestone. 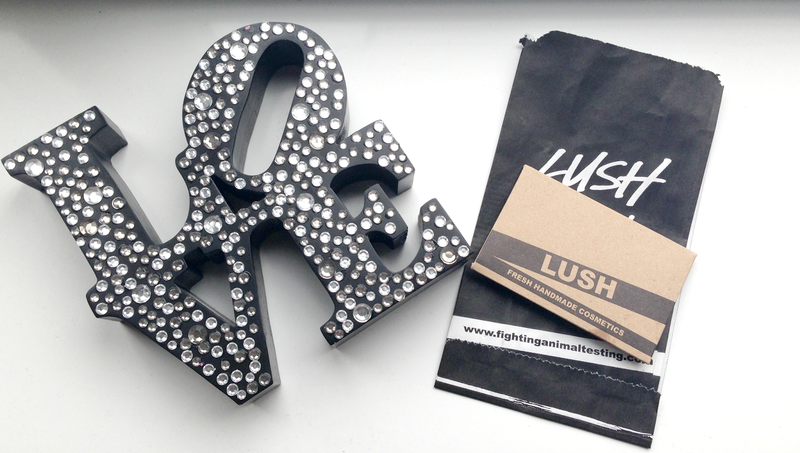 I'd like to thank each and every person that reads/follows my blog by giving you the chance to win a £15 LUSH Giftcard. Please note: I purchased the giftcard with my own money and although the actual giftcard states that it is for the LUSH Spa I was assured that it was suitable to use in LUSH stores too (I will send the gift card receipt to the winner too so you shouldn't have any problems). The giveaway ends at 00:00 Wednesday 19th November 2014. Shortly after the giveaway has ended a winner will be chosen at random and contacted by email. I will also announce the winner on Twitter. I'd like the prize to go to a reader/fellow blogger so please don't post the giveaway on any competition sites or enter just because you have stumbled upon the competition, play fair!